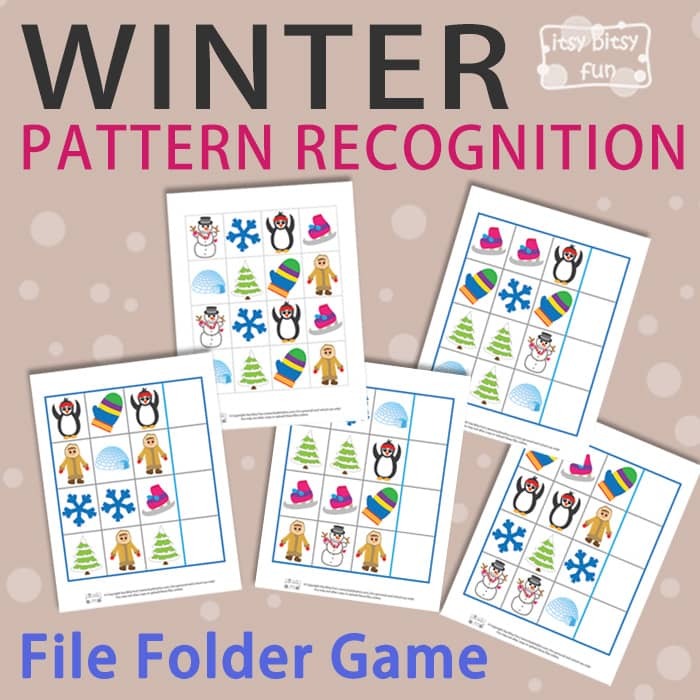 The winter season is just perfect for some cozy indoor learning, so this time we’ve prepared a new pack of Winter Pattern Recognition File Folder Game fun for your young learners. 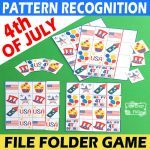 Different patterns are all around us, so let’s strengthen this important skill of recognizing them with a lovely printable game. Print out the colorful pages and enjoy solving the pattern game. In this winter-themed pattern recognition game, you will get 5 pre-colored pages. Kids need to identify and continue the pattern, in order to finish each row. 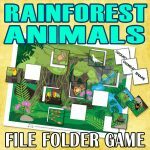 This easy-to-solve file folder game is perfect for kids in preschool and kindergarten. After printing out all of the pages, you will need to cut out all of the images from the last page. We strongly recommend laminating the first four pages and all of the images from the last page. This way, your kids can practice their pattern recognizing skills more often. Your kids will get to know two basic types of patterns. 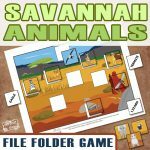 Each pattern consists out of 4 images – three images are already given, so kids need to place the fourth one at the end of each row. The first type is an “ABAB” pattern, and the second one is an “AABB” pattern. 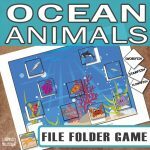 This file folder game is also perfect for strengthening fine motor and observation skills at the same time. 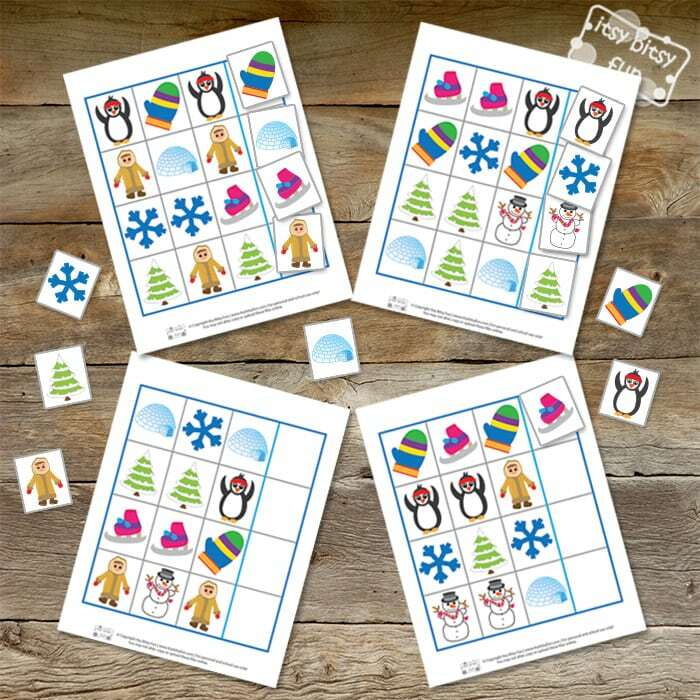 The pack includes images of a mitten, a snowy tree, a penguin, an igloo, a snowman, an Eskimo, an ice skate, and a snowflake. 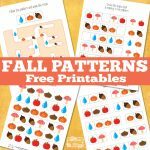 Enjoy the winter days with this cool winter printable pack and upgrade your pattern recognition skills. 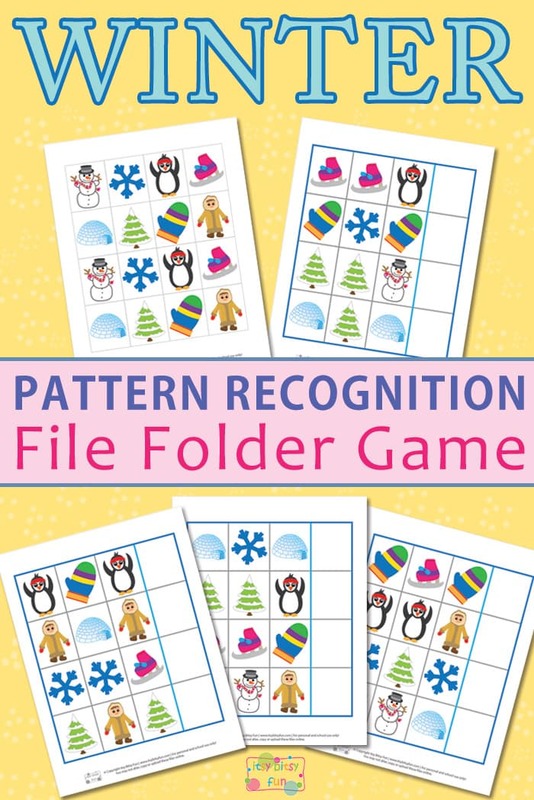 Get your free Winter Pattern Recognition File Folder Game here. If you looking for some more fun, take a look at the Winter Find and Color Worksheet and enjoy the free pack of Winter Drawing Prompts for Kids.